I thought it be cool to ponder on, since we have the 'chicken or the egg' question... well we also have the 'is the mind the brain' question too..
A post from Mark Stokes (Oxford Centre for Human Brain Activity) all I did was correct the typo's :) Thanks Stokes! Recently I responded in the Guardian to a couple of high-profile articles criticizing over-hyped neuroscience [e.g., here and here]. Most of the claims were leveled at bad scientific practices identified in the field, however boldly concluded that neuroscience is in principle unable to answer deep questions of mind. In my response, I point out that current limitations in practice do not imply limitations in principle. It is far too early to predict so-called "in principle limits". Also, I point out that the neurocentric view does not necessarily neglect all the external (non-brain) influences that shape our experience (i.e., society, culture, history, art, etc). The goal for neuroscience is to understand how the brain responds to all such influences, from basic sensory stimulation to social and cultural influences. Finally, I also make the point that neuroscience is not just functional magnetic resonance imaging (fMRI), and the blobology often used to parody fMRI, and neuroscience by association. Neuroscience is a multilevel approach that includes a vast array of complementary techniques, which is often neglected by in principle critics of neuroscience who tend to focus on the more simplistic, and sensationalist, claims that circulate around the mainstream media. Similar responses have been elicited elsewhere [Neurocritic, Brembs, New Yorker, BrainFacts.org]. In this post, I would just like to elaborate on the more general question of mind, and what we might expect neuroscience to help us understand. 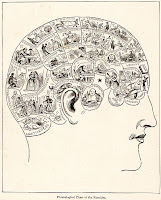 Recently, philosopher, poet, novelist and cultural critic Raymond Tallis reminds us the brain is not the mind [see here for a similar argument by David Brooks in the NY Times]. 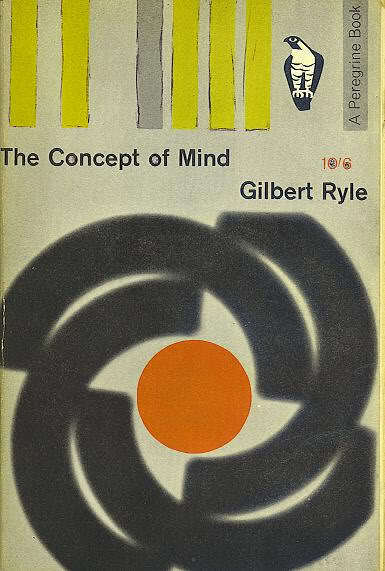 As Gilbert Ryle famously argues in the Concept of Mind, to confuse the two levels of description is to commit a category mistake. The brain is not the mind, but the basic medium that gives rise to all mental faculties. In other words, mind is what the brain does. 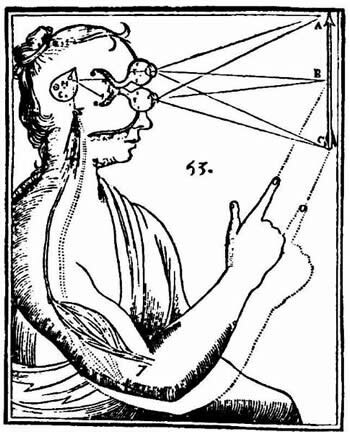 The philosophical distinction between mind and brain is valid and important, but it does not imply any limit on how much studying the brain will inform us about the workings of the mind. That is an empirical question. I think some of the confusion comes from different ideas of knowledge: explanation vs. experience. To quote from another famous philosophical example, Frank Jackson considers the plight of Mary the color scientist. She "knows all the physical facts about color, including every physical fact about the experience of color in other people, from the behavior a particular color is likely to elicit to the specific sequence of neurological firings that register that a color has been seen. However, she has been confined from birth to a room that is black and white, and is only allowed to observe the outside world through a black and white monitor. When she is allowed to leave the room, it must be admitted that she learns something about the color red the first time she sees it — specifically, she learns what it is like to see that color" [from here]. But this is a red herring - who really expects neuroscience to substitute subjective experience? If you want to experience red, you should find something red to look at. If you want to experience Bach, then go to a concert and leave the neuroscientists alone! You will certainly learn something new that can't be got from reading all the research on how the brain processes color or music. If you do not have the basic neural machinery necessary for these experiences, then you will remain ever-deprived in this respect as no other kind of knowledge will substitute for experience. Neuroscience (or any other study) is never going to provide a satisfactory substitute for direct subjective experience, but if you are searching for a causal explanation how the brain gives rise to these experiences, then there is no substitute for neuroscience. Every experience we have, every memory, every perception, hope, dream, plan, action... everything that makes up our mental life is causally dependent on some electrochemical state in the brain. In the modern age, this basic materialist view is rarely contested, even by the most vociferous critics of neuroscience (though Brooks gets pretty close here). It is simply no longer credible to invoke some non-material entity (ghost in the machine) as the ultimate cause of the private and uniquely special quality of human experience. If we want to understand how the material of brain gives rise to the phenomena of mind, then we need to understand the causal biological mechanisms that underpin the cognitive architecture that is collectively termed mind. This includes perception, memory, imagination, language (and other social interactions), sense of agency/free will, etc. But I reiterate, the purpose is to understand the causal mechanisms the give rise to the phenomena of mind, not to substitute the first order experience. 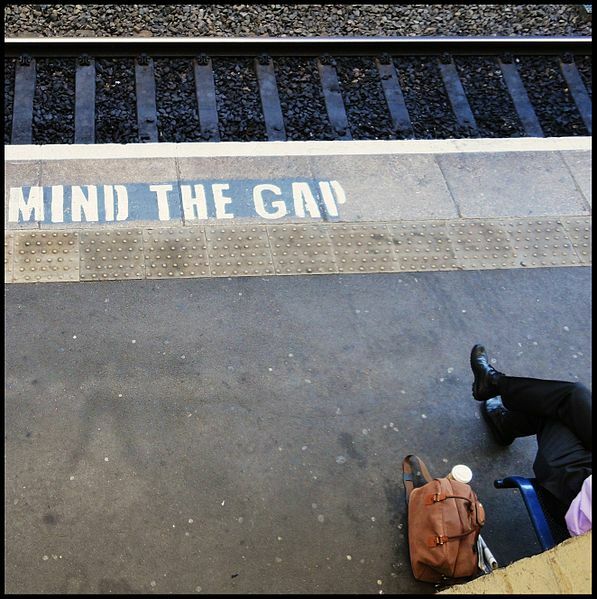 The explanatory gap is simply a red herring. I have argued that it is too early to predict how far neuroscience will be able to take us. It is hard to imagine some magical endpoint at which the final piece of the puzzle falls into place, and all mystery finally dissolves. But there is every reason to believe that the current direction is a promising one, and new technical developments and analysis approaches are likely to yield important new insights that can hardly be predicted at this early stage of the adventure. But to make a case in favor of neuroscience as a likely best place to look for answers to mind, it makes sense to consider how far we have come so far. As neurobacklashers are quick to point out, there have been many examples of over-hyped studies (usually some form of one-to-one mapping between cognitive states X and Y to brain areas A and B using fMRI). 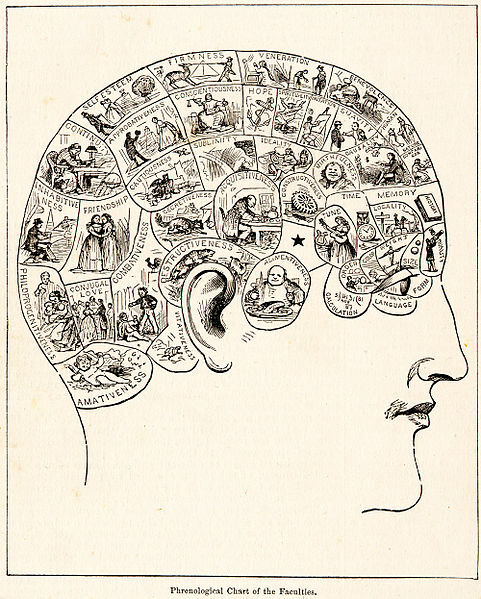 Neurophrenology is impossibly simplistic and theoretically absurd, but it is probably an important first step to map out some of the basic correspondences between brain structure and function before we can move on to more complex interactions. The neurobacklash may also draw upon some more systemic problems with the practical application of neuroscience (e.g., poor statistical methods, unreliable results, etc). These are all serious problems in the field today, but also not unique to neuroscience. In fact, one of the most striking and often cited examples of such bad practices comes from preclinical cancer research, which found that only about 10% of previously published results were reliable, with the implication that implying that almost 90% of results published in preclinical cancer research were effectively false positives. All scientific conclusions depend critically on the rigor of the scientific practice that is used to gather and evaluate the evidence. I have previously argued that current funding models prioritize quantity over quality [posts at the Guardian and Brain Box], which seriously distorts the incentive structure in science to reward shoddy practices for expedient publications. It is the same if your building contractor cuts corners to save on costs. An unstable edifice built on under-resource science will not stand the test of time. Worse, science is a cumulative process, so poor science leads future research down blind alleys. I have also advocated more stringent statistical criteria [Brain Box], and others have argued for more checks and balances in the publication process. We must remain ever-vigilant to protect previously established safeguards from increasing pressure to cut-corners, and also find new ways to improve the reliability of established results. Although a litany of bad practices in neuroscience does not imply that the endeavor is flawed in principle, it would undermine the future promise if there were no examples that survived the in practice critique. But this is simply not the case. Neuroscience has completely revolutionized our understanding of many core mental faculties over the last century. Research in long-term memory is probably a good example to illustrate how neuroscience can provide a powerful explanatory framework for understanding how the biology of brain causes a key mental faculty. This story starts with the (in)famous case of an ill-fated surgical procedure to treat otherwise intractable epilepsy. After bilateral resection of the medial temporal lobe in a patient widely known by his initial HM, we discovered that a very specific part of the brain was absolutely necessary for long-term memory: the hippocampus. This was a remarkable case of localization. Without the hippocampus, the patient becomes profoundly amnesic, therefore we can conclude that this brain structure is necessary for forming new memories. But not all types of memories. The amnesic patient is still able to learn new motor skills, for example, so we learn something important about the mind - there are different types of memory [see here for other examples]. Moreover, the patient is also able to recall old memories, suggesting that our past experiences are stored in widely distributed networks throughout the entire brain (massively non-localized). So the further neuroscientific question naturally arises: how do we form new memories? 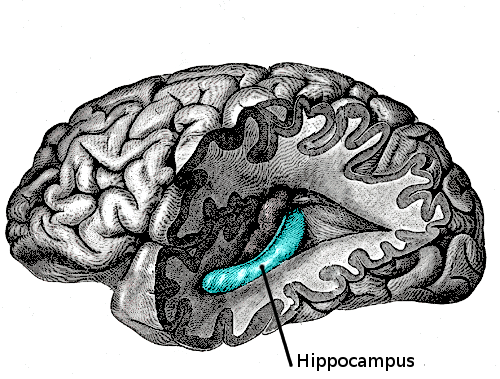 One popular theory is that the hippocampus re-activates recent experiences during sleep. This results in a kind of replay sequence of events is thought to eventually re-wire existing networks in the rest of the brain to integrate the new experience with all the other previous experiences. This is perhaps why we have experiences in our sleep (albeit with confusing/disjointed narratives). Unfortunately, dreams are notoriously difficult to study. There are no observable behaviors for animal studies (other than a bit of paw twitching... we can't ask a mouse to keep a dream diary), and human studies must rely on whatever experience survives the transition between sleep and wakefulness. Neuroscience is able to break through this barrier by measuring patterns of activity during sleep. Already, we have seen how activity in the mouse hippocampus reflects reactivation of previous experiences of recent events [i.e., learning a new maze: article]. More exciting, a recent proof-of-principle fMRI study has now shown that it won't be long before we can extend the same approach to humans [article here, and my review here and here]. Aside from the general awe and wonder associated with idea that we can reading peoples brains during sleep, these kind of studies provide the basic pathways to entirely new approaches for understanding the mental rumblings that are beyond the scope of other forms of enquiry [see here on 'mind reading']. But this is just one example how neuroscience has provided key insights in the fundamental mechanisms of mind: memory (see here for a related discussion on free will by Björn Brembs). If this level of explanation does not satisfy your definition of "learning something new about the mind", then I can't imagine any other form of enquiry that is likely to be more satisfactory. We have not learned what it is like to have memory (i.e., the explanatory gap), but most of us already know what memory feels like anyway. The deeper question is how the brain gives rise to such phenomena of mind. Some questions of mind are amenable to introspection, others can be studied using more subtle cognitive behavioral experiments (i.e., cognitive psychology), while others can only be realistically addressed using neuroscientific methods. Future developments in neuroscientific methods will set the limit of this endeavor. For other excellent (err... like-minded) responses to recent neurobacklash: Neurocritic Blog, Björn Brembs Blog, New Yorker, BrainFacts.org]. It is a fabulous discussion. Thanks PS. If the so called "mind" can only be accessed through brain, why the two should be considered distinctly? But the last minute change from the traditional NIMH-backed DSM-V to the new name (done just weeks before press) was to use DSM-5. In any case the issue of the Mind/Brain problem is very similar to the questions in science about Math and Physics. In Math, it is Platonists (Math exists independent of the Brain), vs Man-creates-Math (no human -> no-Math). In Physics, it is the reality of the physical world. Do the fields and complex waves contain/are physical reality (ontologists),or are the Math-structures epistemological ... information and knowledge only. Physics is about information, relationships, epistemology, and correlations(if any). Cause-effect is more a relationship and has little temporal certitude/requirement.. The three preferences above have all become hot topics at the same time. This is a Very unusual happening in human history. We are poised and actually have the ability to solve this set of issues, as a complete set.. This century is poised for a potential explosion at the theosophical level.